Yes available to all, no need for any contract. Since April last year you are able to view sky store movies / content in EU countries. 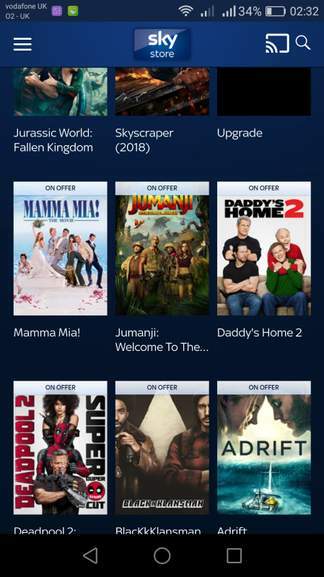 Since April last year you are able to view sky store movies / content in …Since April last year you are able to view sky store movies / content in EU countries. Thanks OP! I had £5.99 credit on my account so I picked up 3 movies. 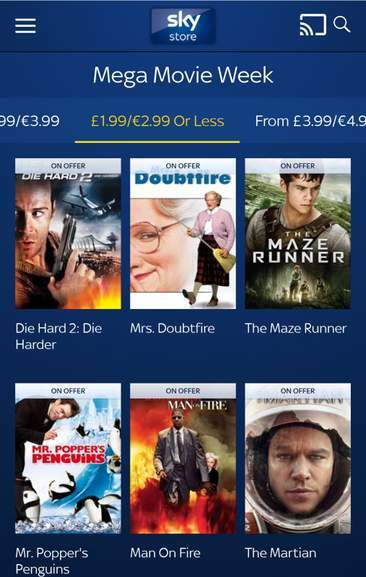 When my sky contract ended all my movies were unavailable from the box, apparently I could have played them through the app, but that’s no good for my kids to access - I won’t be buying any more films through sky. Man on fire £1.99 ordered, best film ever. Thanks for this! Just got 4 movies, three x 99p movies and one £2.99 movie. Had some vouchers from some sweet packets from last year so had £5.99 credit on my Sky Store account. Deadpool 2 (amongst many others) for only £2.99 is a bargain and worthy of adding to the post! Looks like deadpool 2 has been removed from the offer now unfortunately. You can still get the standard film for £2.99, but the Super Duper Cut has gone back up to full price. Deal posting newbie! This is ExBrit first deal post. Help out by leaving a posting tip or just to show your appreciation for their contribution.